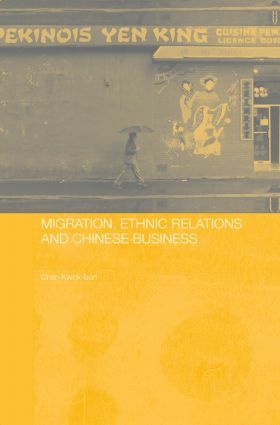 Incorporating research carried out over the last twenty years, this book documents the personal and collective responses of Chinese migrants and refugees to the prejudice and discrimination they have experienced. Using case studies of Chinese communities in Canada, Chan explores the different defence mechanisms Chinese migrants have created in order to escape the systemic and institutionalized discrimination they face. In particular, the book analyzes Chinese entrepreneurship, arguing that it is a collective response to blocked opportunities in host societies. Drawing upon empirical and theoretical literature on the sociology of race and ethnic relations, the book stresses the variety in Chinese culture and its ability to exploit an emergent ethnicity as individuals, groups and communities. Chan Kwok-bun is Head of the Department of Sociology and Director of the David C. Lam Institute for East-West Studies at the Baptist University of Hong Kong.